My D020-D is about the same size as you Sidecar and appears to have the same Matrix percolator. 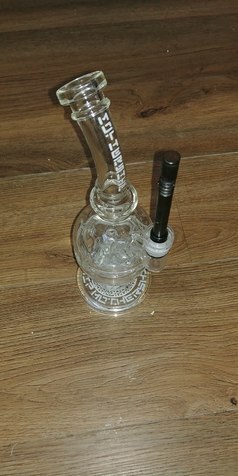 From my personal experience I get slightly less flavor from the D020-D compared to the smaller bong with a simpler percolator. 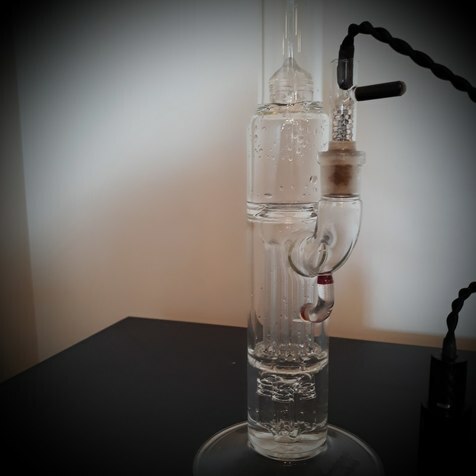 However, the hits are smoother on the throat and lungs on the bigger bong. As others have said it is a matter of personal preference. Actually no...his side car is about the same size as your biggest one. 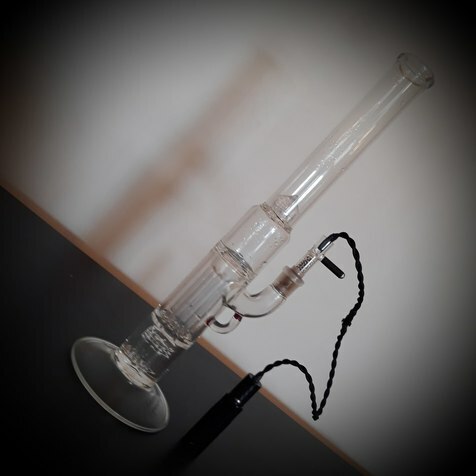 That is basically what I use for most of my vaping....but with drop downs and the 2nd downstem inside the stock one. OK, first, if they ever come out with a Resident Evil Jill Valentine absurdly priced dab rig, I'll throw down. Second, I love the marketing here on this Mario Bro egg. 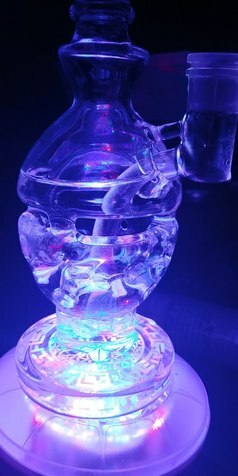 This unique sculptured wax rig is perfect for a video game fan or for any glass collector that wants to relive a bit of their childhood with every dab. That even looks like an OG Sovereignty, circa 2012, maybe??? Is that a silver or gold line model?? I can see is a tree perc, to pillars, to small tree perc. Are those red accents at the direct inject welds?? I’d love to hit that tube. Packing that baby for your 420PDX trip?? I'm sure it would break in travel. I'm shocked with how much distance there is for the vapor/smoke to go how big, fast and direct pull I get. 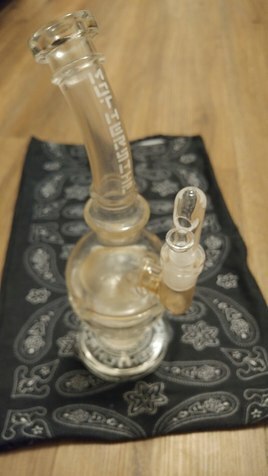 Its not the one with the button/chandelier perc..that one I want but no one will sell or they are sold out. 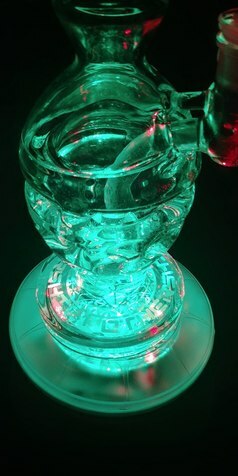 That will be the famed and lusted and drooled over “peyote to pillar” perc I believe?? I hitted that one. Not my piece of course. 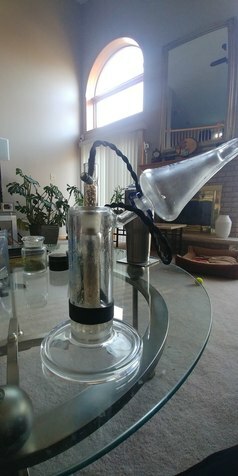 A serious heady friend, RIP PhotoRider from FC forum, gave me the chance to experience, first hand, all the renowned blowers of the US. Do you have a subscription to Boro Market?? You always find the coolest pieces. Is that an OG Mothership??? Can’t really tell from the angle shot. Motherships tend to be on the expensive side.......??? tax time baby our credits are ridiculous, because our medical expenses are extra ordinary. After the chiroprator for my wife and i, had a little bit to treat myself with. Im knew someone would know the company lol. You cant even call that thing a fake shes a replica :halo: 50cdn and i got a free wallet with it. Its the faberge egg. Ill get a nice picture with it on a light stand later. 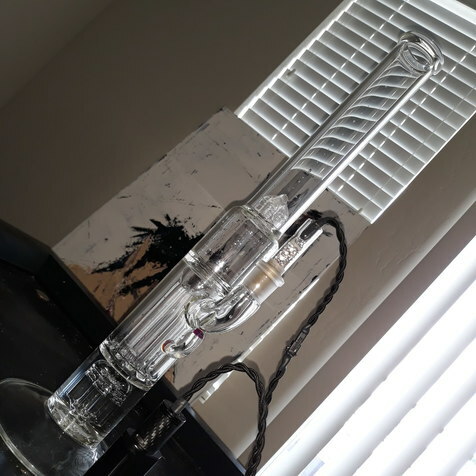 I didnt have high expectations when ordering but im pretty blown away i havent hit a real one but this is quite nice. Its way more intricate then i could tell from the picture, maybe itll show better under some colour. Why is it every vape thing that really catches my eye is so high priced..... am I really driven to that extent by aesthetics? That's beautiful....not sure I like the config from a functional POV, but I do like it very much aethetically. I'm not into horns, dragons, dinos, etc on my glass. I do understand that others love that stuff and its great that they can get it. But I more like clean lines, interesting overall geometry, and well done but not gaudy color. The piece you showed above hits it on all cylinders. If you like looking at glass you can't afford (well, that I can't afford! haha), check out these guys. I bought my Mobius Atom from them and they are a very good store...but carry a LOT of very high end stuff. 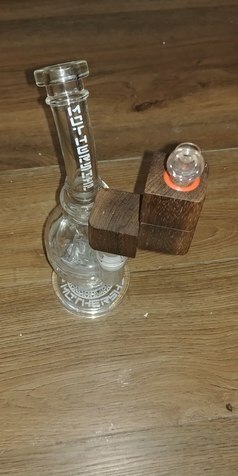 i love that style of rig. Its so methodical. 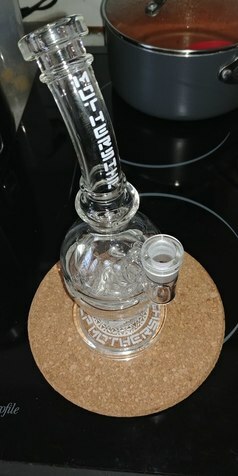 It looks even better in person :love: your a low temp dab fan right? That birdcage nail i have in there is amazing!